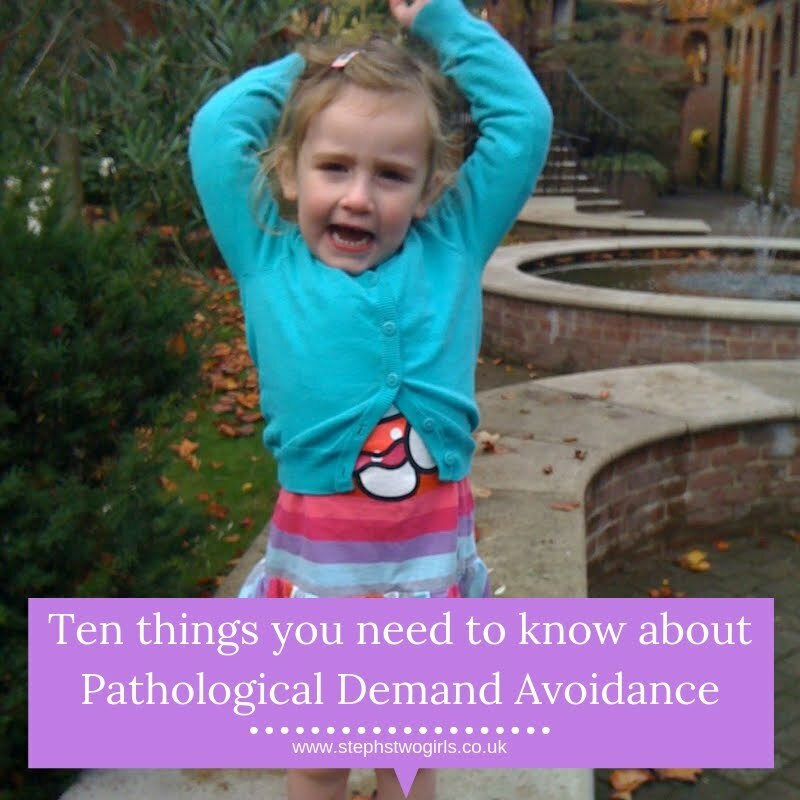 Pathological Demand Avoidance is a type of Autism characterised by extremely high levels of anxiety. 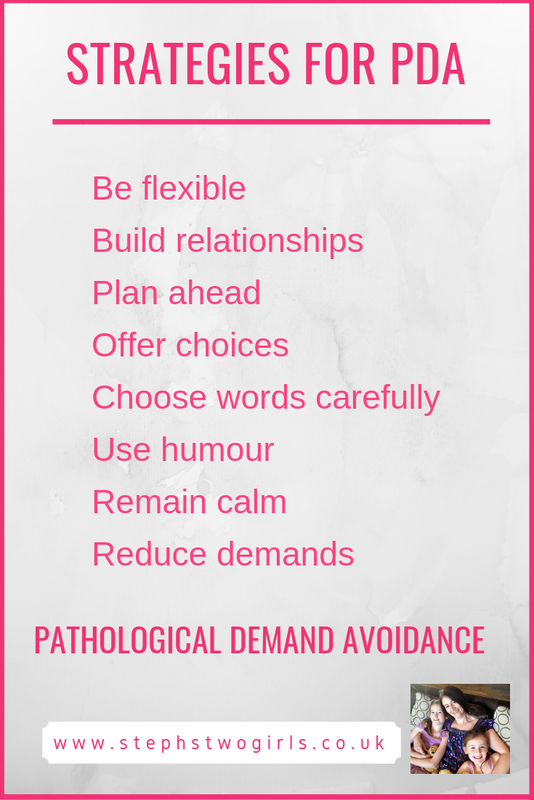 People with PDA are generally best supported using 'non-typical' parenting strategies which I explain in more detail below. These strategies can help both at home and school for children with PDA. I need to first of all give you this disclaimer though: I don't own a magic wand. Nearly seven years on from diagnosis, I would say I'm an expert in my own girl with PDA. At times though, such as over the last few weeks when my catalogue of strategies seems to be wearing thin, it doesn't feel like I am any kind of expert. Times change, and you have to roll with it - that's true for parenting any child. 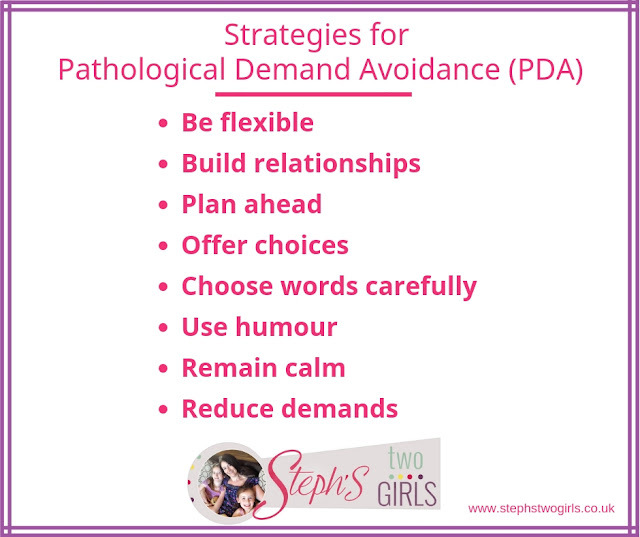 Working out what works for children with PDA though can be a different level of exhausting. Read more; understand the condition. There's plenty of advice on the PDA Society website (incidentally, the PDA Society is formed of a group of parents who all have children with PDA themselves, and they all volunteer for the PDA Society to help others). Cast aside any notion you have that typical, or stricter, parenting will work. 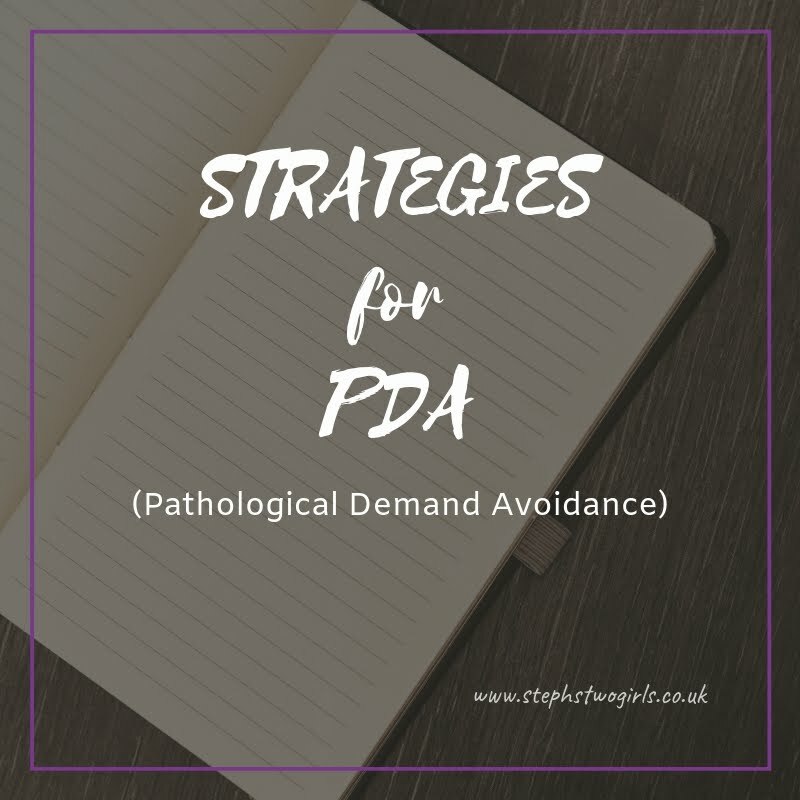 In a previous post I've discussed in detail the difference between PDA and ODD (Oppositional Defiant Disorder), so I'd highly recommend reading that to understand more. In a nutshell, children with ODD will benefit from more rigid boundaries and good use of reward and consequence schemes; children with PDA do not respond in the same way. In PDA, the avoidance of, and refusal to comply with, everyday demands is driven by high anxiety. It is not caused by an inherent desire to be oppositional and gain attention. Sure, a sticker chart or promise of a reward may work in the short term, but then again, it may not. So I totally understand when others are confused - 'but if she's done that once, why won't she do it again?'. 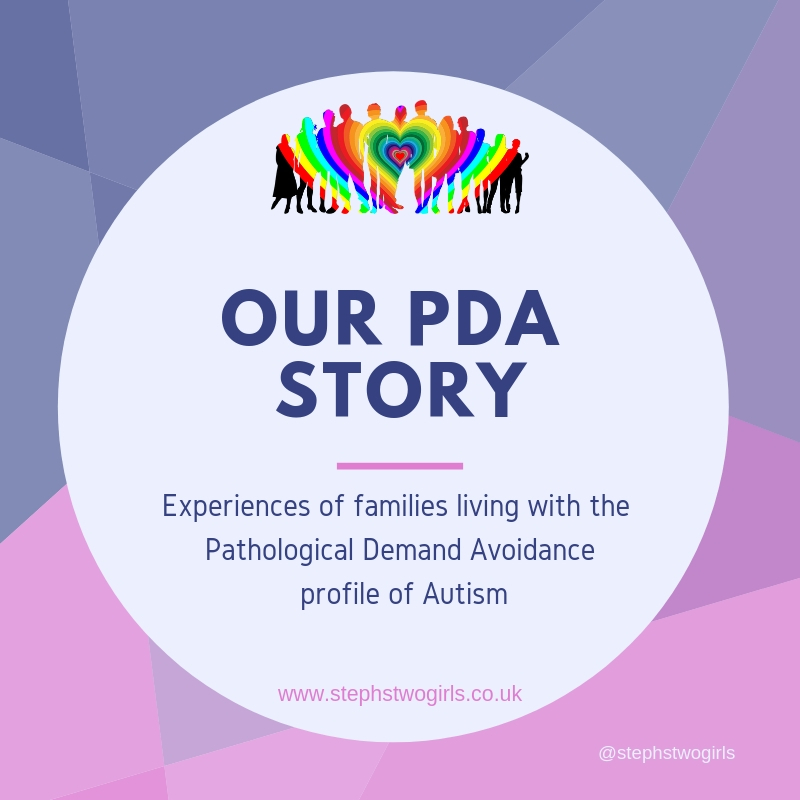 The not-so-simple answer to that is that children with PDA are very complicated; they are spending a huge amount of time trying to cope with different pressures, some of which you can see and some which are not so obvious to those of us who don't have the same struggles. One of the biggest challenges with PDA is staying on your toes daily, pulling different strategies out of the bag. A phrase often used is that it's like 'walking on eggshells'. In other words, a great deal of care is being taken in order to avoid complete refusal. To onlookers, this may seem haphazard and random, but a lot of thought and intuition goes into how to approach tricky situations. It's draining and relentless for some families. As for most autistic children, good relationships really are crucial for progress. Trust can be built up when the child realises that the difficulties they are facing are actually appreciated and understood. It's only through these successful relationships that the anxiety levels can be reduced. This feeds back into the first point. Whilst on the one hand flexibility is required, some thought about what may happen and different scenarios is also key. I don't tend to go anywhere without a Plan A, B and C - and even Z in some cases! The chance to escape before it all gets too much is important, so I always make sure there is a quiet space, or easy access to an exit etc. Not too many choices, as otherwise the demand of picking one of those options may be too much. However a choice of where to go, or what time to do an activity for example, will be much better received than an instruction involving 'now'. Or in other words, never say 'no'. Even when Sasha was still quite young and not properly speaking, I'd joke with people that her favourite word was 'no' - as long as she was the one using it. If we dared to use it, it would pretty much guarantee an outbursting of extreme anxiety as control was lost, and nothing else would be achieved that day. It's important to say that this was not the same as a toddler tantrum (or a teenage tantrum for that matter). I'm not a huge fan of the word meltdown, but I can assure you there is a difference. Was my girl capable of having a tantrum? Yes, that too, and it took some working out initially but as time passes it becomes clearer when they are simply being the same as other typically developing peers, or when they are avoiding everyday demands. Of course there are times when it might be totally necessary to use the word 'no' - a good example is when there may be danger involved. So yes, if a child is about to run in front of a car then an urgent 'stop' or no should be used, but it's important to save this kind of language for when the situation is most drastic. The child is then far more likely to listen and trust that it's important. Actions can be also phrased as a challenge or fun game rather than a direct demand. So instead of 'time to brush your teeth' we might say 'I bet you can't finish brushing your teeth before I've finished mine' or 'race you to the bathroom' (bearing in mind that children with PDA need to stay in control and therefore you are never allowed to win the game/race). There's also the option of using a third (invisible) person to enforce rules for example - 'I don't think it's the best idea myself, but the health and safety people say it's very important' - as then the demand is not coming direct. This strategy kind of falls under the type of communication used as above but deserves a point all of its own I feel. We wouldn't achieve half of what we do with Sasha if we didn't act the clown occasionally, or phrase requests (not demands) light-heartedly. So an example might be calling yourself stupid as you pretend not to see the pair of shoes which need putting on right in front of you. Humour can de-escalate a tense situation, or provide a distraction. Believe me, I know it is extremely difficult to use humour and stay calm when all you want to do is leave the house and not be late, and even more difficult to not do it through gritted teeth. These children pick up on your tension though, which in turn adds to their anxiety level, so it is vital to avoid showing your own emotions. Understand and decide in advance what the priority is - is it getting there on time, or is it leaving the house at all? Of course I'm not saying that we can just forget about doing any of these actions and just stay in all day (although sometimes, that's as bad as it gets), but we can appreciate the difficulties involved with these cumulative demands and try to make them easier. Sensory issues, socks never right? Maybe seamless socks need to be considered. Having to leave by a certain time? Try to allow more time for getting ready, or alternatively consider whether that time for leaving can be pushed back in any way. This is not the same as lowering your expectations, although this may also apply in many cases. It's a case of weighing up what matters more to you - is it clean teeth or leaving the house calmly? Obviously most of us would prefer both of those things to happen, but given that they won't, which do you choose? If you drop the teeth brushing (not that I'm advocating that, in case my dentist is reading...), are you more likely to be able to leave the house on time in the morning because the rest of the routine runs smoothly? It might be the choice between your child sitting at the dinner table for a meal or them eating food with good nutritional value, wherever in the house they choose to eat it. It could be letting them choose to wear no coat in winter because they literally won't leave the house with one on. For every family, the battles will be different, and for every family with a child with PDA, the scope of the battles is likely to change frequently (see point below about being spontaneous). Routine can be good...except when you need to be spontaneous. For children with PDA and autism in general, there can be some comfort in knowing what is expected to happen as that reduces anxiety. Conversely however, being expected to do the same thing every day can be seen as a demand in itself and the child who wishes to retain control to manage their own anxiety levels may need to break this cycle in order to feel they are in control. Told you it was exhausting, didn't I?! 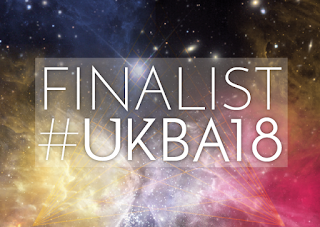 I'm well aware that some people will read this post incredulously, and use some hideous phrases such as 'picking and choosing too much', and 'what that child needs is some stricter boundaries'. I've heard them before sadly. I sigh, and I wish that I could invite them all to come and live with us and understand what it is that makes our younger girl different from our older girl. We see and live the difference every day. I do feel extremely lucky in some ways that we had our other, neurotypical (typically developing, not autistic) girl first, as it made the different reactions from Sasha clearer for me to see. I'm also lucky that Sasha has mostly acted the same way in school and other environments as she does for me at home - she doesn't yet do the 'masking' which many other autistic girls seem to use as their own coping mechanism. Many children with PDA have the added fear of breaking the rules, so they do their best to conform at school all day. Sadly the effect this has is similar to a pressure cooker; when they are home again, where they feel comfortable, they are more likely to explode at even the smallest demand. Half of the battle though is understanding; when you accept that your child is not doing this to you just to be oppositional but rather because of an underlying extremely high level of anxiety, then you can start to work around it and let go of some of the traditional parenting techniques which simply don't work. It may just lead to a calmer life all round. 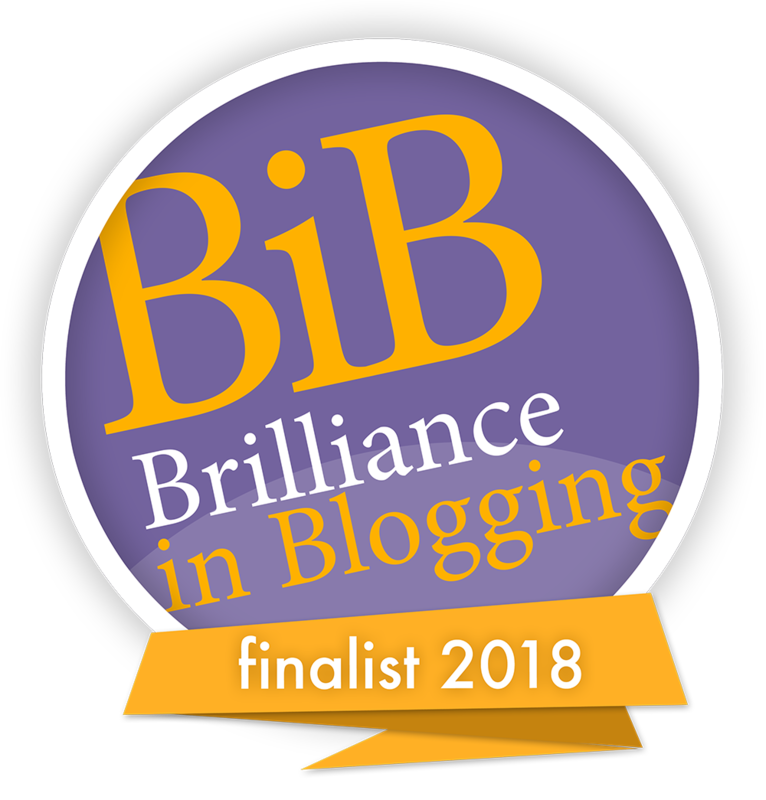 Since writing this post I've shared a guest post on my blog, from a mum who also happens to be a specialist teacher, with some strategies aimed at those trying to educate these children. 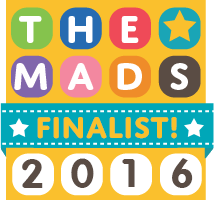 You can find that at Pathological Demand Avoidance: Strategies for Schools. 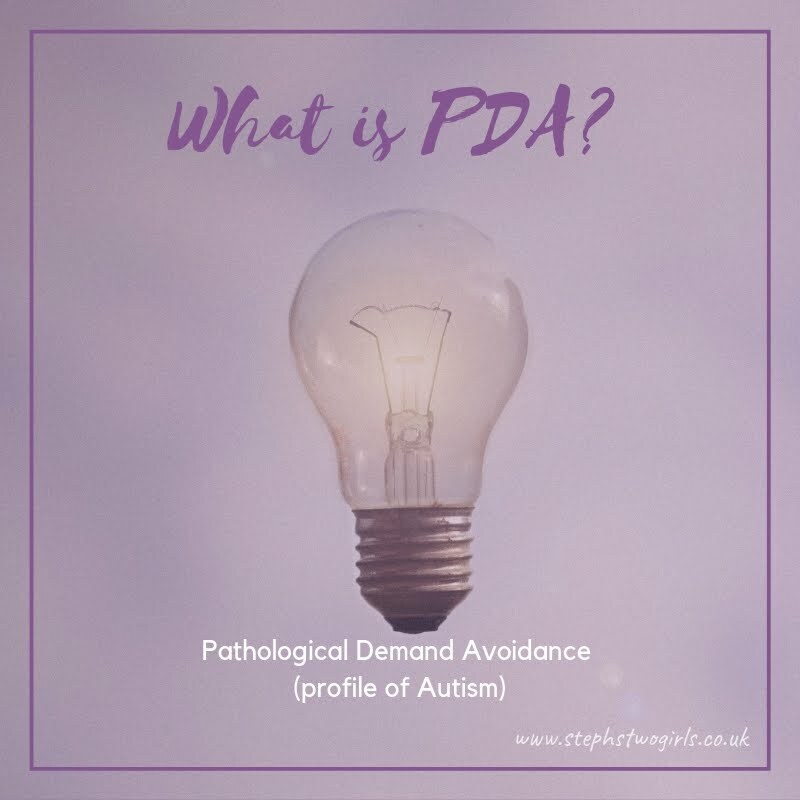 For now though, I'm going to leave you with a link to the Positive PDA booklet which is aimed at schools and offers lots of practical examples of how to approach working with these children. For more reading, please visit the great resources page which the PDA Society have produced, and also The PDA Resource website. So happy to hear it's been helpful. Thank you for saying so!